Bio: I was born in California, but grew up in the Midwest. I graduated with a degree in Psychology from the University of Kansas (Rock Chalk, Jayhawk, Go KU!). And what on earth are you really going to do with a degree in Psychology? So now I peddle cigarettes for a living; spending most of my time in convenience stores and smoke shops in "the hood" with all of the druggies and homeless people. Ironically, I went to school to avoid these exact working conditions. You gotta love the Universe and it's sense of humor. 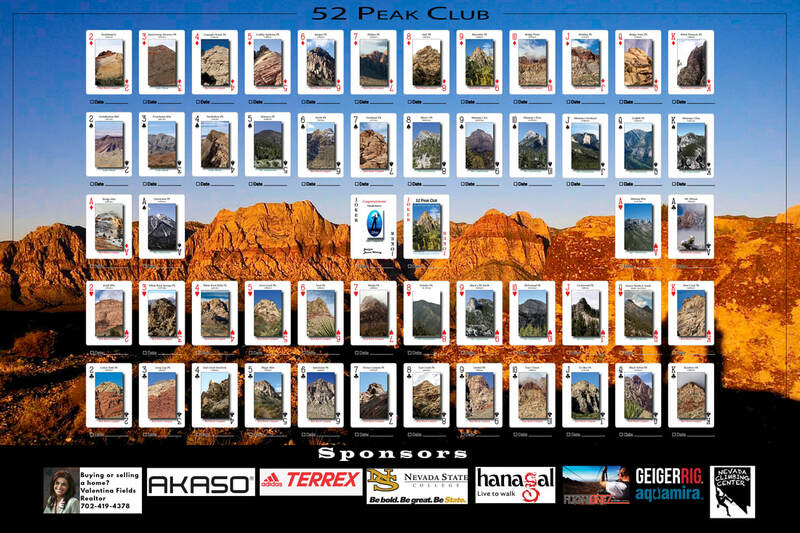 Why did you join the 52 Peak Club: I'm competitive, stubborn and have no sense of direction. It seemed like the perfect place for me! 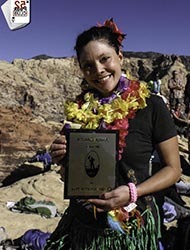 Toughest Peak: Any that had more than 1,500 feet elevation gain…seriously! Hiking is not something that comes naturally or easy to me. I seem to have the trifecta of issues; slow, scared and problems with altitude. Every hike was a challenge and I often asked myself, "What the hell am I doing here?" But fortunately for me, what I lack in physical ability, I make up for with a tenacious spirit. Favorite Hike: Well since I can't say Hamblin, I guess it would have to be Crabby Appleton Peak, Lol! It's never about the hike itself for me. Let's face it, I'm usually just staring at my feet and trying to keep up. The best part about the hike is the people. Crabby will always hold a special place in my heart because I was able to finish with most of the people who have been with me on this journey and had a positive impact on my life. Plus, it was perfect weather and a Hawaiian theme. What more could you possibly want, truly the perfect day! How did you feel once you became a 53er: Relieved, excited, proud, and a bit apprehensive. What if I lose the motivation to get up at 5:00 in the morning on my day off if there's no card to chase? 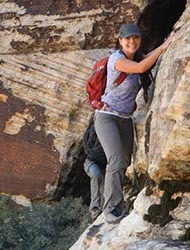 Advice for new hikers: Gatorade and energy chews, lots and lots of energy chews, Lol! Plan your last hike way in advance and stick to it. Make it something easy and with a large peak. Your friends don't want to go to freaking McFarland again, seriously! Invest in liners and good hiking socks. This will save you lots of blisters. Keep your toenails short, and if and when you actually do lose a toenail don't fret. You can get an acrylic overlay, Lol! Drink protein shakes within 30 minutes of finishing a hike, this will help your muscles recover and eliminate soreness (Thank you Mr. Humes, it really works!). Finally and most importantly, always remember the people along the way who have helped you get to your goal. If it weren't for the following individuals, I never would have become a 53er! Thank you so much for taking time out of your day to help me on my journey. You all are amazing! Ask the leaders to buy a poster.